14 inch Brown Trout chasing a little Rainbow. ” I’m always chasing Rainbows ” over the years I’ve done several of these that now decorate cabins and dens . 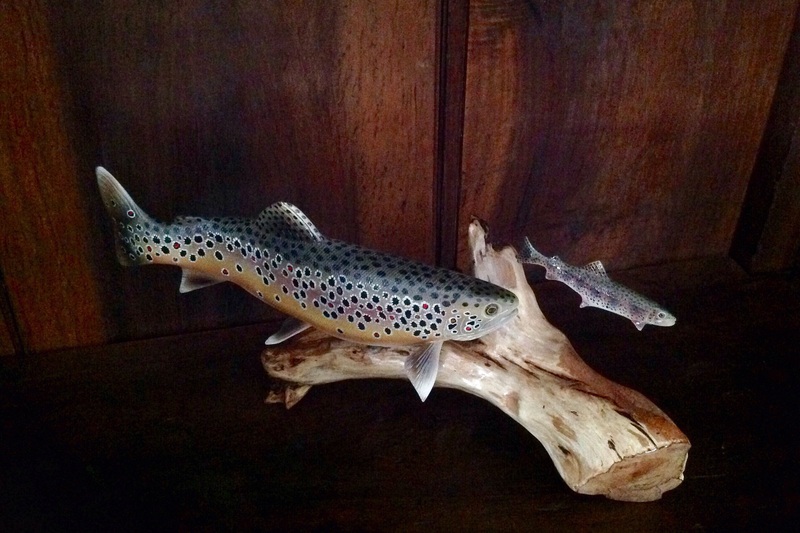 My last one was purchased by the Fly Fishing Museum of the Southern Appachlians and is now on display there.